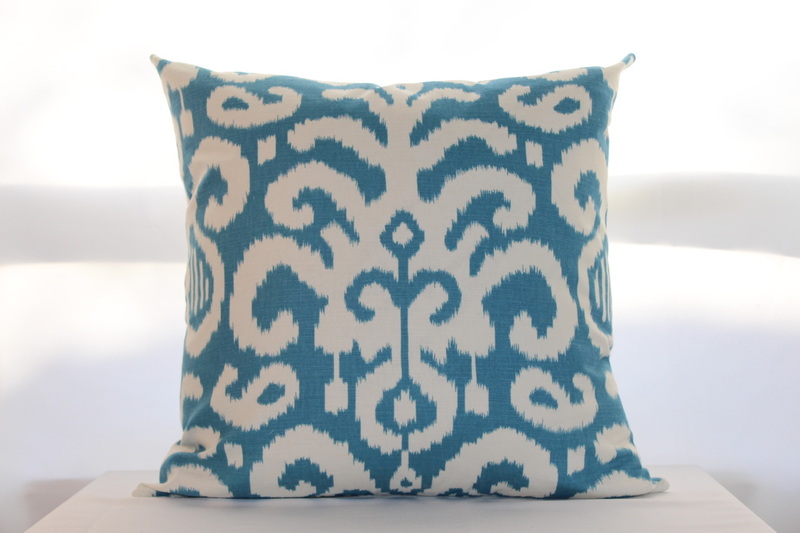 This gorgeous aqua blue and white Ikat print will add style and a pop of colour to any room. Back is a heavy weight white cotton upholstery fabric. 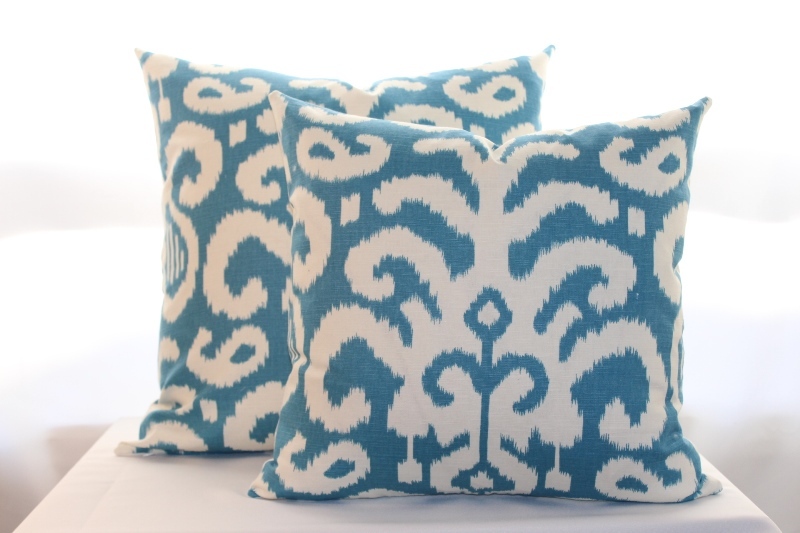 For a beautiful polished look our pillows have a knife-edge finish that taper into sharp corners. All seams are treated with an over lock stitch to prevent fraying. Pillows have heavy weight upholstery threads to strengthen the seams. Invisible zippers are used for enclosures. CUSTOM ORDERS: We welcome custom orders and would love to create something perfect for you. Please indicate your desired fabric and sizes. We will work on fulfilling your order as quickly as possible. PILLOW INSERTS: Available as custom orders. For beautiful plump pillows we recommend purchasing an insert 2 inches bigger than the cover.